The Octagon is a beautiful room. You walk in and are met by Shakespeare, Milton, and Chaucer all staring down at you. Right now, however, they are staring not at their usual wooden flooring, but at a room full of life – at a room filled with a group of QMUL students who have decided to occupy the Octagon. I decided to head in and speak to the occupiers. What do they want? Why are they there? What are the issues? I walked in and was greeted with a cup of tea and a few welcoming smiles. The room is quite big, and there’s plenty of room for them all. Hummus supplies were low, but there was plenty of tea, coffee, and various snacks around the room. They expressed their gratitude for the supplies that had been delivered and were quick to emphasise that they had been massively helped by a wide range of the QMUL community. As I sat there, a quick strategy meeting began. It was, apparently, the second one of the day. Direct democracy is on tap here, with each member being treated equally. Pains were made to remind me that they are a leaderless movement – they’re a collective of students who are passionate about, in their view, saving HE. They share ideas about their plan to have banners and music, for a Senate meeting of the University and began to elect a delegate to negotiate with the University. It’s actually quite wholesome. They’re a movement focused on not having a leader. Direct democracy is the theme of the day. Their elected rep, Beth Pickering, began to draft a statement. They spent time deciding who should give out leaflets, who should hold up banners. The overwhelming feeling genuinely is of solidarity, with students volunteering to help protest the meeting that would be held in half an hour. I sat down, had some tea, and began to ask a few questions. George Craddock: On the one hand, there’s the solidarity with lecturers, who give us a world class education. The least we can do is stand with them for working conditions. In terms of bursaries, many students will be directly effected by this, but to students that aren’t affected by bursaries, this is where it begins. The first step in making education the privilege of the elite once again is to block the students most vulnerable – in this case the poorest, often ethnic minorities – from accessing further education. If you think it stops at the poorest, I hate to tell you, but you are mistaken. Kate Reynolds: As President of Labour Society, I’m supporting those who have chosen to occupy. Our university has an additional responsibility as a London-based institution, due to the increased rents and living costs that students here face. Although Student Finance compensates this to an extent, we all know that the disparity in rent is not made up for by this amount – rent in London can often be twice or more than that in relation to the rest of the country. If Universities don’t offer bursaries, study in London – which is home to multiple elite unis, as well as unparalleled levels of opportunity, as many industries and internships are based here, and it’s the UK political hub – will become the preserve of the middle classes, whose Student Finance can be topped up by the bank of Mum and Dad. Sion Davies: The cuts to bursaries in this way amount to social cleansing. 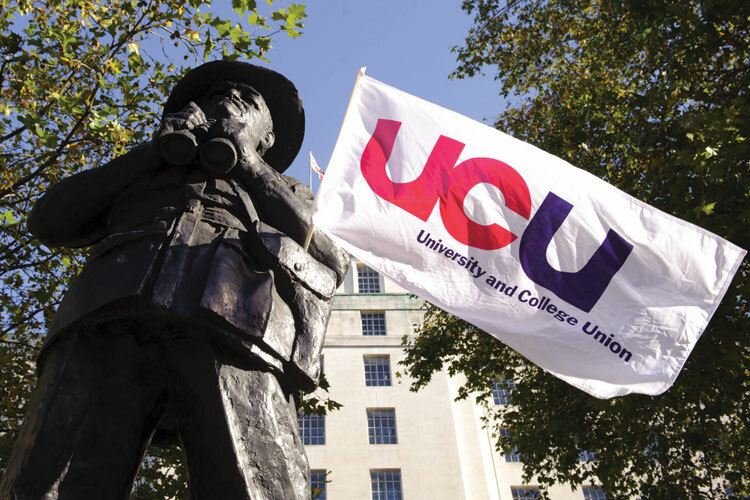 It is an attempt to discourage working class students from going to university. We have the poorest students of any Russell Group. Lucy Madeley: [interjecting] We have a high number of no-income (under 10k) students. Sion Davies: Exactly, and we need to make sure our Uni is supporting both these, and indeed all, low-income students. Jemima Hindmarch: I think the way that management have tried to cut bursaries without engaging with the student population is disgusting. They tried to convince students that they were increasing bursaries by telling everyone that the lowest bracket would get an increase, but they’re short changing us, because money is being moved out of bursaries altogether. Lily Baker: The Uni is making a million pound gamble with the lives of students. As someone who gets a bursary, I would not have been able to attend without it. I would have had to drop out without it. Isn’t the poorest students getting more money a good thing? Jemima Hindmarch: Yes! We want them to keep the 15% increase. But we don’t want to see other bursaries reduced. It’s an underhanded short-changing, because a £200 increase isn’t enough to justify cutting millions from bursaries. Where did the rest of it go? Lucy Madeley: The ideal situation is that the lowest bracket of bursaries retain their increase while the funding is restored to the bursary fund. Adam Sparkes: …£350,000 while quotes were given at £25,000… the Union objected to that when I was a sabb! Jemima Hindmarch: …so dignitaries would be comfortable while the poorest students struggle to find accommodation they can afford. Look – it’s painfully ironic that the people who are being required to guard us work on an income that means their children would need bursaries. We are here in solidarity with all students, all staff. The whole QM community. We want every student and staff member to see that. ALL: This is a challenge. Why are you not meeting us? We’re a collective of your students, helping to provide a voice – if you have anything to say, say it to all of us. Why are you only meeting with QMSU. We challenge management to meet us, here, and discuss our demands. What’s it like being here? Lucy Madeley: It’s like a big sleepover, crossed with a festival. It gives you a bit of a fuzzy feeling. You feel like you’re actually doing something useful. Students should join us. I mean, we have free food and you get to make a difference. George Craddock: Our demands remain the same. We will clarify them at some point, as we took a democratic decision to change wording and to make it more accessible. Hope you’re doing well by the way.